Have Your Coffee and Drink it, too! Coffee is a morning staple. It is just as important to a morning routine as brushing one’s teeth. Some may argue that coffee is more important than anything else when starting their day. There are mugs, memes and t-shirts dedicated to coffee addiction, and with valid reason. We all notice countless coffee shops and stands on our daily commutes. Millions of Americans leave their homes early each morning, ensuring enough time to make their coffee run. People make daily splurges on their coffee stand usual, occasionally branching out and trying a seasonal drink. Why drink the office coffee when you can have something more indulgent, something more gourmet? The price is a sure fire reason to not make that daily pit stop. Many coffee lovers opt for espresso machines right on their countertop. They get to indulge in their coffee as much as they want, but not without the high cost of a pretty penny. Countertop espresso machines are not inexpensive. Plus, many are not very user friendly and not everyone has the time to train as a barista. What if you could have your daily dose of delicious without breaking the bank? Yes, you can! 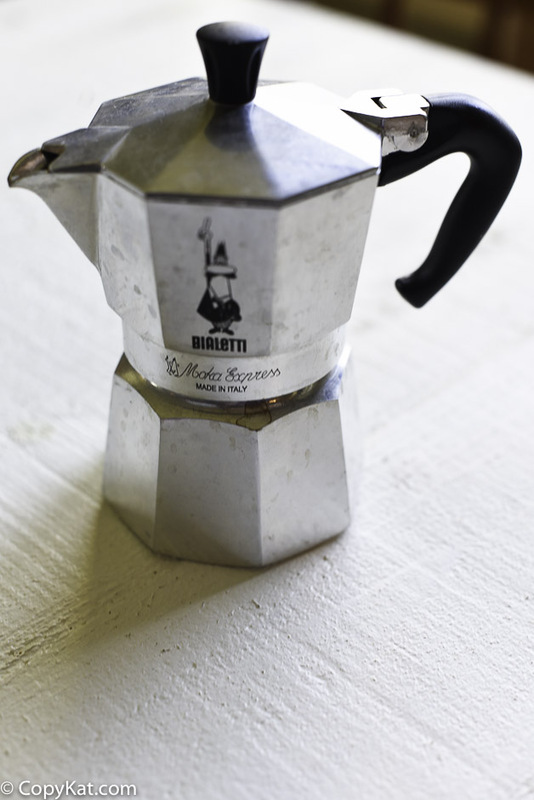 The Bialetti Moka Express is an inexpensive resolve to your daily java fix. It creates authentic Italian coffee with very little effort required. 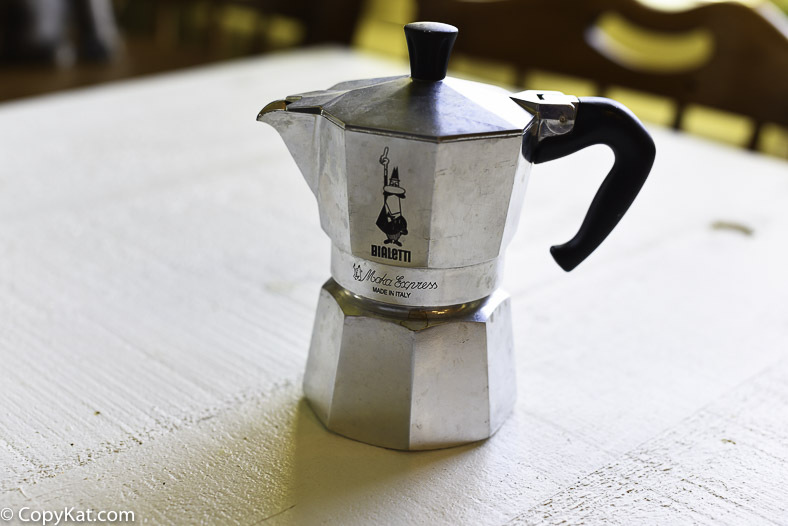 Native Italians actually make their espresso using stovetop espresso makers like the Bialetti Moka Express. It is easy to use and it makes the best cup of coffee. You fill the lower chamber with water. Then, fill the filter with ground espresso coffee. You will place the coffee maker on the stove and bring the water to a boil. The Bialetti Moka Express creates a liquid espresso that floats into pot’s upper chamber. You are free to add in your favorite cream, caramel and other flavors for your homemade custom coffee creation. The Bialetti Moka Express is extremely inexpensive. In fact, you will spend less on this machine than you would on work week’s worth of coffee stand coffees. You choose your favorite brand of ground espresso for your drinks. There is no need for special filters or spendy K cups. The coffee you are rewarded with is strong enough to power you through your day while providing the indulgent feeling that we all crave on early work and weekend mornings. With this machine in your corner, you can have your coffee and drink it, too. Heat milk in the microwave for about one minute. If you do not have a milk frother you can pour the heated milk into a clean glass jar with a lid and shake milk until it becomes frothy. 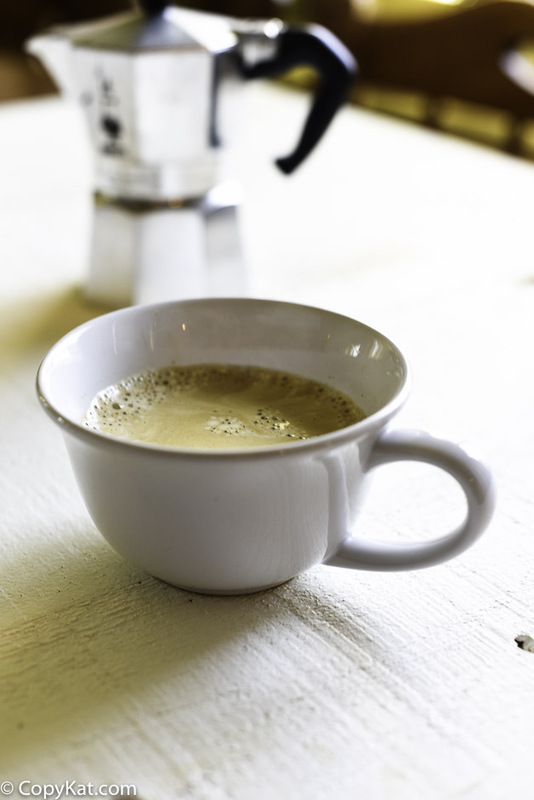 To prepare lattes divide coffee into two classes, add 1 teaspoon of vanilla syrup in each coffee mug and stir. Top coffee with frothed milk. 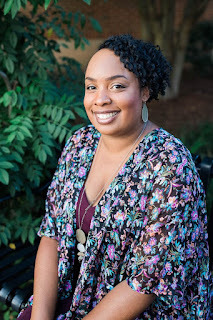 About Author: Stephanie Manley writes for CopyKat Recipes, if you enjoy a particular dish in a restaurant, you can get the recipe to make it at home. You may want to try her recipe for Starbucks White Chocolate Mocha at home. If I didn't have to watch my caffeine I would be totally getting this!!! I just purchased a new Keurig to have coffee made at home however, every once in a while I will splurge at Wawa or Dunkin Donuts. I remember these from when I was young when my mom was stationed in Italy. Of course, I had no idea I'd love coffee like I do now!